Will we remember to design cities for people and life, enriched by interactions and supported by transport? 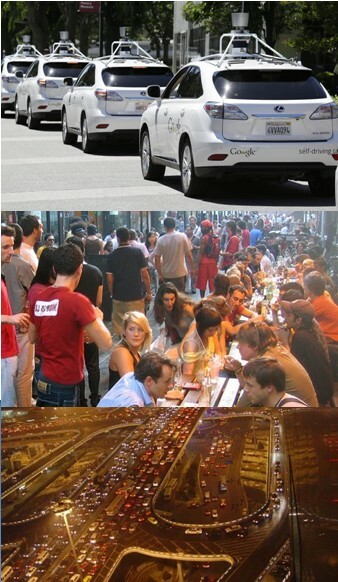 Or will we put the driverless car and the app that hires it before the passenger? I’m worried that the current level of interest in self-driving cars as a Smart City initiative is a distraction from the transport and technology issues that really matter in cities. It’s a great example of a technology that is attracting significant public, private and academic investment because many people will pay for the resulting product in return for the undoubted benefits to their personal safety and convenience. But will cities full of cars driving themselves be better places to live, work and play than cities full of cars driven by people? Cities create value when people in them transact with each other: that often requires meeting in person and/or exchanging goods – both of which require transport. From the medieval era to the modern age cities have in part been defined by the tension between our desire to interact and the negative effects created by the size, noise, pollution and danger of the transport that we use to do so – whether that transport is horses and wagons or cars and vans. A number of town planners and urban designers argue that we’ve got that balance wrong over the past half century with the result that many urban environments are dominated by road traffic and infrastructure to the extent that they inhibit the human interactions that are at the heart of the social and economic life of cities. What will be the effect of autonomous vehicles on that inherent tension – will they help us to achieve a better balance, or make it harder to do so? Autonomous vehicles are driven in a different way than the cars that we drive today, and that creates certain advantages: freeing people from the task of driving in order to work or relax; and allowing a higher volume of traffic to flow in safety than currently possible, particularly on national highway networks. And they will almost certainly very soon become better at avoiding accidents with people, vehicles and their surroundings than human drivers. But they are no smaller than traditional vehicles, so they will take up just as much space. And they will only produce less noise and pollution if they are electric vehicles (which in turn merely create pollution elsewhere in the power system) or are powered by hydrogen – a technology that is still a long way from large-scale adoption. And whilst computer-driven cars may be safer than cars driven by people, they will not make pedestrians and cyclists feel any safer: people are more likely to feel safe in proximity with slow moving cars with whose drivers they can make eye contact, not automated vehicles travelling at speed. The extent to which we feel safe (which we are aware of) is often a more important influence on our social and economic activity than the extent to which we are actually safe (which we may well not be accurately aware of). The tension between the creation of social and economic value in cities through interactions between people, and the transport required to support those interactions, is also at the heart of the world’s sustainability challenge. At the “Urban Age: Governing Urban Futures” conference in New Delhi, November 2014, Ricky Burdett, Director of the London School of Economics’ Cities Program, described the graph below that shows the relationship between social and economic development, as measured by the UN Human Welfare Index, plotted left-to-right; and ecological footprint per person, which is shown vertically, and which by and large grows significantly as social and economic progress is made. (You can watch Burdett’s presentation, along with those by other speakers at the conference, here). 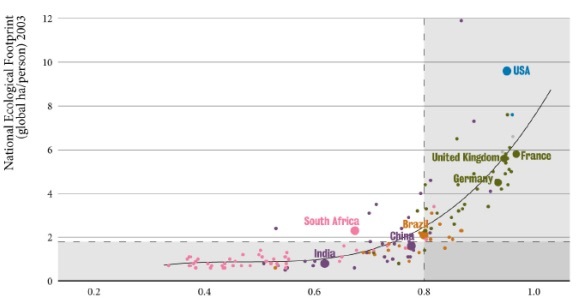 The dotted line at the bottom of the graph shows when the ecological footprint of each person passes beyond that which our world can support for the entire population. Residents of cities in the US are using five times this limit already, and countries such as China and Brazil, whose cities are growing at a phenomenal rate, are just starting to breach that line of sustainability. Tackling this challenge does not necessarily involve making economic, social or personal sacrifices, though it certainly involves making changes. In recent decades, a number of politicians such as Enrique Penalosa, ex-Mayor of Bogota, international influencers such as Joan Clos, Exective Director of UN-Habitat (as reported informally by Tim Stonor from Dr. Clos’s remarks at the “Urban Planning for City Leaders” conference at the Crystal, London in 2012), and town planners such as Jeff Speck and Charles Montgomery have explored the social and economic benefits of cities that combine low-carbon lifestyles and economic growth by promoting medium-density, mixed-use urban centres that stimulate economies with a high proportion of local transactions within a walkable and cyclable distance. Of course no single idea is appropriate to every situation, but overall I’m personally convinced that this is the only sensible general conception of cities for the future that will lead to a happy, healthy, fair and sustainable world. There are many ways that technology can contribute to the development of this sort of urban economy, to complement the work of urban designers and town planners in the physical environment. For example, a combination of car clubs, bicycle hire schemes and multi-modal transport information services is already contributing to a changing culture in younger generations of urban citizens who are less interested in owning cars than previous generations. And this is a good example that it is not set in stone that cities must inevitably grow towards the high ecological footprints of US cities as their economies develop. 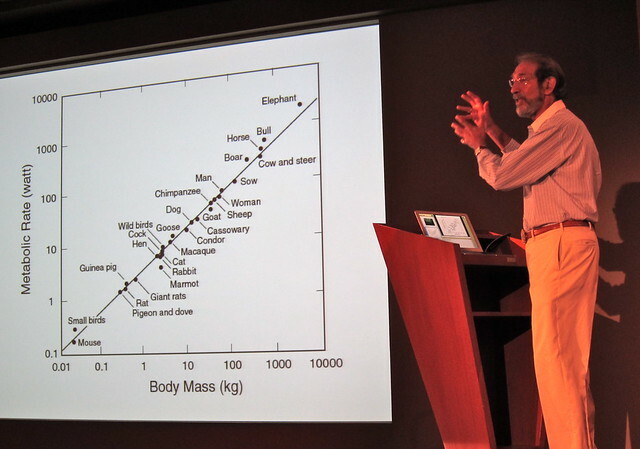 The physicist Geoffrey West’s work is often cited as proof that cities will grow larger, and that their economies will speed up as they do so, increasing their demand for resources and production of waste and pollution. But West’s work is “empirical”, not “deterministic”: it is simply based on measurements and observations of how cities behave today; it is not a prediction for how cities will behave in the future. It is up to us to discover new services and infrastructures to support urban populations and their desire for ever more intense interactions in a less profligate way. 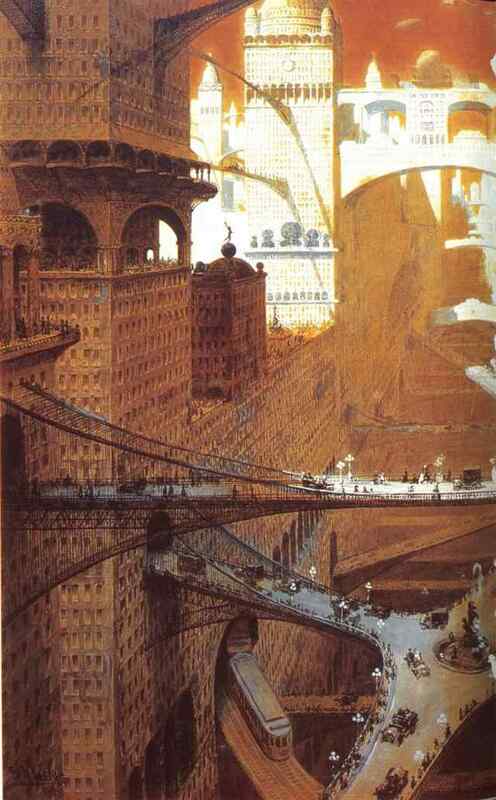 Already today, cities diverge from West’s predictions according to the degree to which they have done so. 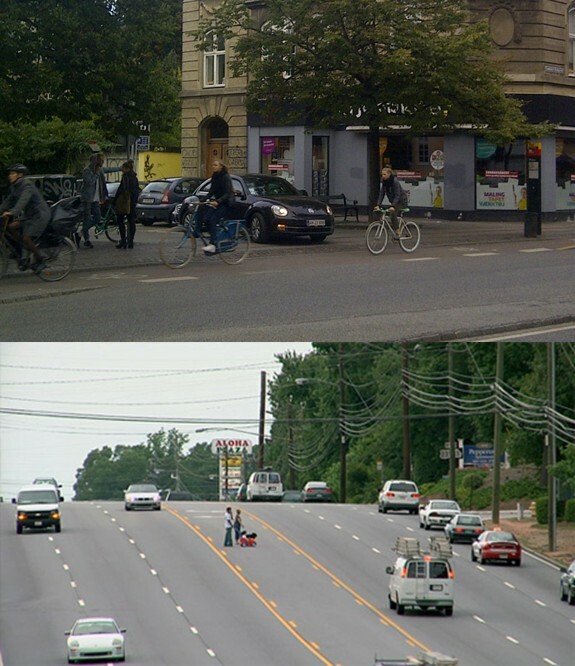 The worst examples of American sprawl such as Houston, Texas have enormous ecological footprints compared to the standard of living and level of economy activity they support; more forward-thinking cities such as Portland, Vancouver, Copenhagen and Freiberg are far more efficient (and Charles Montgomery has argued that they are home to happier, healthier citizens as a consequence). However, the role that digital technologies will play in shaping the economic and social transactions of future cities and that ecological footprint is far from certain. On the one hand modern, technologies make it easier for us to communicate and share information wherever we are without needing to travel; but on the other hand those interactions create new opportunities to meet in person and to exchange goods and services; and so they create new requirements for transport. As technologies such as 3D printing, open-source manufacturing and small-scale energy generation make it possible to carry out traditionally industrial activities at much smaller scales, an increasing number of existing bulk movement patterns are being replaced by thousands of smaller, peer-to-peer interactions created by transactions in online marketplaces. We can already see the effects of this trend in the vast growth of traffic delivering goods that are purchased or exchanged online. I first wrote about this “sharing economy“, defined by Wikipedia as “economic and social systems that enable shared access to goods, services, data and talent”, two years ago. It has the potential to promote a sustainable economy through matching supply and demand in ways that weren’t previously possible. For example, e-Bay CEO John Donahoe has described the environmental benefits created by the online second-hand marketplace extending the life of over $100 billion of goods since it began, representing a significant reduction in the impact of manufacturing and disposing of goods. But on the other hand those benefits are offset by the carbon footprint of the need to transport goods between the buyers and sellers who use them; and by the social and economic impact of that traffic on city communities. 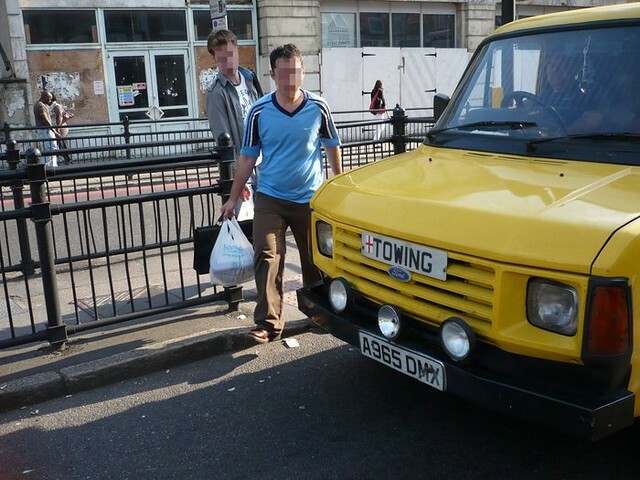 There are many sharing economy business models that promote sustainable, walkable, locally-reinforcing city economies: Casserole Club, who use social media to introduce people who can’t cook for themselves to people who are prepared to volunteer to cook for others; the West Midlands Collaborative Commerce Marketplace, which uses analytics technology to help it’s 10,000 member businesses work together in local partnerships to win more than £4billion in new contracts each year, and Freecyle and other free recycling networks which tend to promote relatively local re-use of goods and services because the attraction of free, used goods diminishes with the increasing expense of the travel required to collect them. But it takes real skill and good ideas to create and operate these business models successfully; and those abilities are just those that the MIT economists Andy McAfee, Erik Brynjolfsson and Michael Spence have pointed out can command exceptional financial rewards in a capitalist economy. What is there to incent the people who posess those skills to use them to design business models that achieve balanced financial, social and environmental outcomes, as opposed to simply maximising profit and personal return? The vast majority of systematic incentives act to encourage such people to design businesses that maximise profit. That is why many social enterprises are small-scale, and why many successful “sharing economy” businesses such as Airbnb and Uber have very little to do with sharing value and resources, but are better understood as a new type of profit-seeking transaction broker. It is only personal, ethical attitudes to society that persuade any of us to turn our efforts and talents to more balanced models. This is a good example of a big choice that we are taking in millions of small decisions: the personal choices of entrepreneurs, social innovators and business leaders in the businesses they start, design and operate; and our personal choices as consumers, employees and citizens in the products we buy, the businesses we work for and the politicians we vote for. For individuals, those choices are influenced by the degree to which we understand that our own long term interests, the long term interests of the businesses we run or work for, and the long term interests of society are ultimately the same – we are all people living on a single planet together – and that that long-term alignment is more important than the absolute maximisation of short-term financial gain. But as a whole, the markets that invest in businesses and enable them to operate and grow are driven by relatively short-term financial performance unless they are influenced by external forces. In this context, self-driving cars – like any other technology – are strictly neutral and amoral. They are a technology that does have benefits, but those benefits are relatively weakly linked to the outcomes that most cities have set out as their objectives. If we want autonomous vehicles, “sharing economy” business models or the Internet of Things to deliver vibrant, fair, healthy and happy cities then more of our attention should be on the policy initiatives, planning and procurement frameworks, business licensing and taxation regimes that could shape the market to achieve those outcomes. 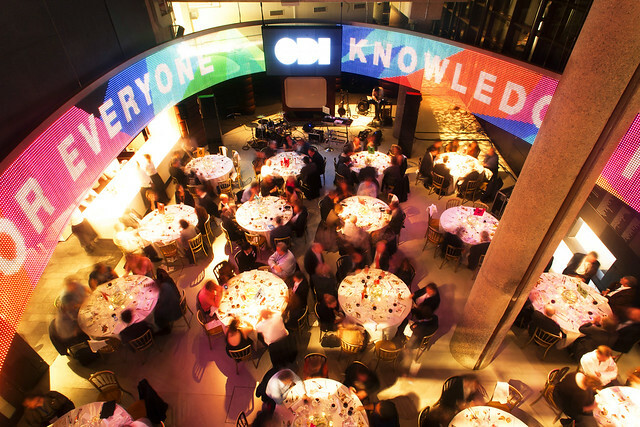 The Centre for Data Innovation, British Standards Institute, and Future Cities Catapult have all published work on this subject and are carrying out initiatives to extend it. Cities create the most value in the most sustainable way when they encourage transactions between people that can take place over a walkable or cyclable distance. New technologies and new technology-enabled business models have great potential to encourage both of those outcomes, but only if we use the tools available to us to shape the market to make them financially advantageous to private sector enterprise. We should be paying more attention to those tools, and less attention to technology. Over the past 5 years, enormous interest has developed in the potential for digital technologies to contribute to the construction and development of cities, and to the operation of the services and infrastructures that support them. 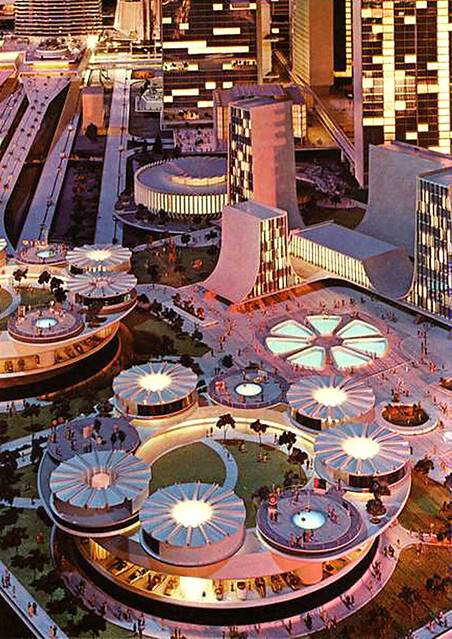 These ideas are often referred to as “Smart Cities” or “Future Cities”. Indeed, as the price of digital technologies such as smartphones, sensors, analytics, open source software and cloud platforms reduces rapidly, market dynamics will drive their aggressive adoption to make construction, infrastructure and city services more efficient, and hence make their providers more competitive. But those market dynamics do not guarantee that we will get everything we want for the future of our cities: efficiency and resilience are not the same as health, happiness and opportunity for every citizen. Is it realistic to ask ourselves whether we can achieve those objectives? Yes, it has to be. Many of us believe in that possibility, and spend a lot of our efforts finding ways to achieve it. And over the same timeframe that interest in “smart” and “future” cities has emerged, a belief has developed around the world that the governance institutions of cities – local authorities and elected mayors, rather than the governments of nations – are the most likely political entities to implement the policies that lead to a sustainable, resilient future with more equitably distributed economic growth. Consequently many Mayors and City Councils are considering or implementing legislation and policy frameworks that change the economic and financial context in which construction, infrastructure and city services are deployed and operated. The British Standards Institute recently published guidance on this topic as part of its overall Smart Cities Standards programme. But whilst in principle these trends and ideas are incredibly exciting in their potential to create better cities, communities, places and lives in the future, in practise many debates about applying them falter on a destructive and misleading argument between “top-down” and “bottom-up” approaches – the same chasm that Smart Urbanism seeks to bridge in the physical world. Policies and programmes driven by central government organisations or implemented by technology and infrastructure corporations that drive digital technology into large-scale infrastructures and public services are often criticised as crude, “top-down” initiatives that prioritise resilience and efficiency at the expense of the concerns and values of ordinary people, businesses and communities. However, the organic, “bottom-up” innovation that critics of these initatives champion as the better, alternative approach is ineffective at creating equality. “Bottom-up innovation” is what every person, community and business does every day: using our innate creativity to find ways to use the resources and opportunities available to us to make a better life. 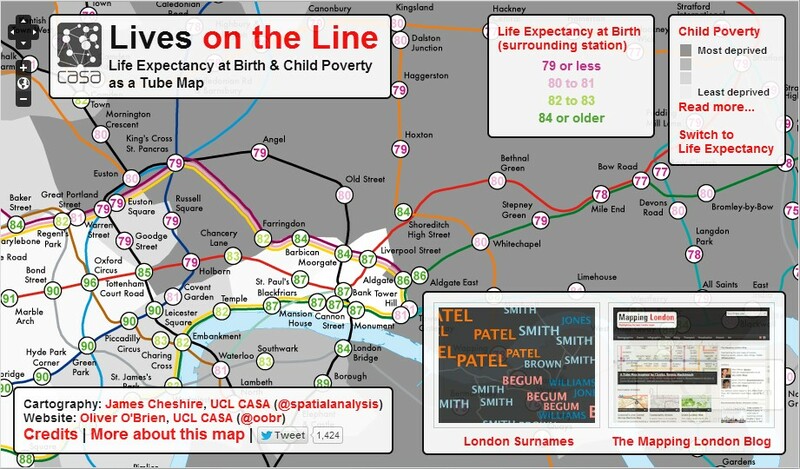 But the degree to which we fail to distribute those resources and opportunities equally is illustrated by the stark variation in life expectancy between the richest and poorest areas of cities in the UK: often this variation is as much as 20 years within a single city. Just as the “design pattern”, a tool invented by a town planner in the 1970s, Christopher Alexander, is probably the single most influential concept that drove the development of the digital technology we all use today, two recent movements in town planning and urban design – “human scale cities” and “smart urbanism” – offer the analogies that can connect “top-down” technology policies and infrastructure with the factors that affect the success of “bottom-up” creativity to create “massive / small” success: future, digital cities that create “massive amounts of small-scale innovation“. Broadband, wi-if and 3G / 4G connectivity should be broadly available so that everyone can participate in the digital economy. The data from city services should be made available as Open Data and published through “Application Programming Interfaces” (APIs) so that everybody knows how they work; and can adapt them to their own individual needs. The data and APIs should be made available in the form of Open Standards so that everybody can understand them; and so that the systems that we rely on can work together. The data and APIs should be available to developers working on Cloud Computing platforms with Open Source software so that anyone with a great idea for a new service to offer to people or businesses can get started for free. The technology systems that support the services and infrastructures we rely on should be based on Open Architectures, so that we have freedom to chose which technologies we use, and to change our minds. Governments, institutions, businesses and communities should participate in an open dialogue about the places we live and work in, informed by open data, enabled by social media and smartphones, and enlightened by empathy. Local regulatory regimes should encourage the development of “sharing-economy” online business models that use local community networks and bartering mechanisms to prefer local transactions – retaining value in the local economy, and increasing the percentage of transactions that take place through walking and cycling rather than requiring motorised transport. These principles would encourage good “digital placemaking“: they would help to align the investments that will be made in improving cities using technology with the needs and motivations of the public sector, the private sector, communities and businesses. They would create “Smart Digital Urbanism”: the conditions and environment in which vibrant, fair digital cities grow from the successful innovations of their citizens, communities and businesses in the information economy. In my new role at Amey, a vast organisation in the UK that delivers public services and operates and supports public infrastructure, I’m leading a set of innovative projects with our customers and technology partners to explore these ideas and to understand how we can collaboratively create economic, social and environmental value for ourselves; for our customers; and for the people, communities and businesses who live in the areas our services support. It’s a terrifically exciting role; and I’ll soon be hiring a small team of passionate, creative people to help me identify, shape and deliver those projects. I’ll post an update here with details of the skills, experience and characteristics I’m looking for. I hope some of you will find them attractive and get in touch. Efficiency; resilience; growth; vitality. These are all characteristics that cities desire, and that are regularly cited as the objectives of Smarter City programmes and other forward-looking initiatives. 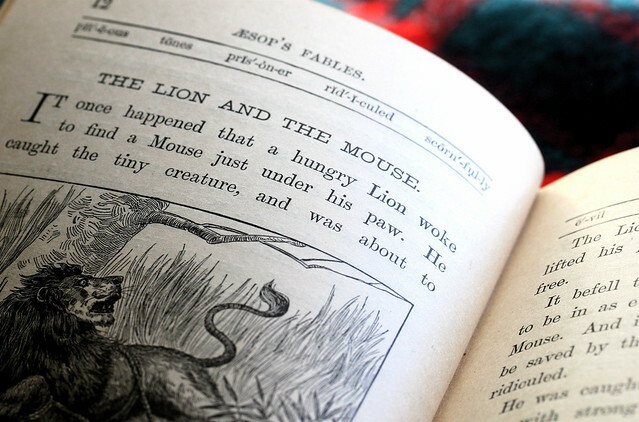 But, though it is less frequently stated, a more fundamental objective underlies all of these: fairness. The Nobel Prize-winning economist Joseph Stiglitz has written extensively about the need to prioritise fairness as a policy and investment objective in a world that in many areas – and in many cities – is becoming more unequal. That inequality is demonstrated by the difference in life expectancy of 20 years or so that exists between the poorest and richest parts of many UK cities. I think the Smart Cities movement will only be viewed as a success by the wider world if it contributes to redressing that imbalance. So how do we design Smart City systems that employ technology to make cities more successful, resilient and efficient; in a way that distributes resources and creates opportunities more fairly than today? One answer to that question is that the infrastructures and institutions of such cities should be open to citizens and businesses: accessible, understandable, adaptable and useful. Why do we need open cities? Buford Highway is an infrastructure fit only for vehicles, not for people. It allows no safe access along or across it for the communities it passes through – it is closed to them, unless they risk their lives. At the same time that city leaders are realising more and more that better planning is needed to create more equal cities, so it is imperative that the digital infrastructures we deploy in cities are accessible and useful to citizens, not as dangerous to them as Buford Highway. Unfortunately, there are already examples of city infrastructures using technologies that are poorly designed, that fail to serve the needs of communities, or that fail in operation. 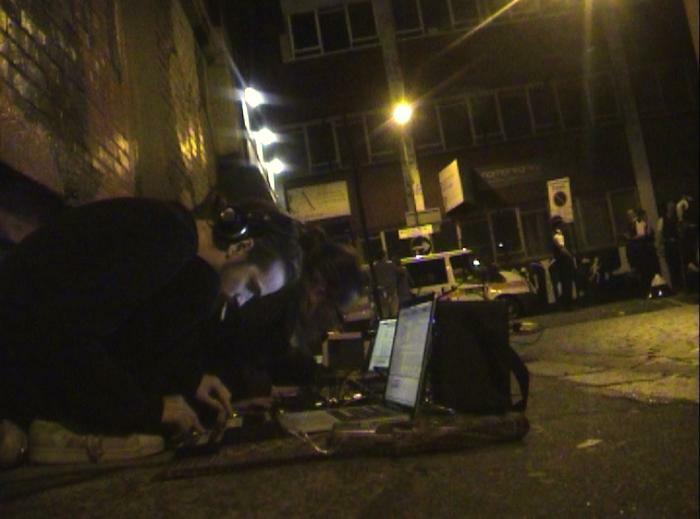 For instance, a network of CCTV cameras in Birmingham were eventually dismantled after it was revealed they had been erected to gather evidence of terrorist activities in Birmingham’s Muslim communities, rather than in support of their safety. And there have been many examples of the failure of both public sector agencies and private companies to properly safeguard the data they hold about citizens. Market failures can result in the benefits of technology being more accessible to wealthier communities than poorer communities. For example, private sector network providers will not deploy connectivity in areas which are insufficiently economically active for them to make a profit, and Government funding is not yet sufficient to close the gap. And community lenders, who typically offer loans at one-tenth to one-hundredth the cost of payday lenders, have so far lacked the resources to invest in the online technology that makes some payday loans so easy to take out – though this is starting to change. One of the technology industry’s most notorious failures, the Greyhound Lines bus company’s 1993 “Trips” reservations system, made a city service – bus transport – unusable. The system was intended to make it quicker and easier for ticket agents to book customers onto Greyhound’s buses. But it was so poorly designed and operated so slowly that passengers missed their buses whilst they stood in line waiting for their tickets; were separated from their luggage; and in some cases were stranded overnight in bus terminals. In the 21st Century, badly applied digital technology will create bad cities, just as badly designed roads and buildings did in the last century. It’s possible to benefit from Smart city infrastructures without being connected to the internet or having skills in digital technology – Stockholm’s road-use charging scheme reduces congestion and pollution for everyone in the city, for example. But the benefits of many Smart systems are dependent on being connected to the internet and having the skills to use it. From the wealth of educational material now available online (from the most sophisticated Harvard University courses to the most basic tutorials on just about any subject available on YouTube), to the increasing role of technology in high-paid careers, it’s absolutely obvious that the ability to access and use the internet and digital technologies in the future will be a crucial component of a successful life. Smart cities won’t be fair cities if we take connectivity and skills for granted. Worldwide, fully one-third of the population has never been online; and even in as rich and advanced a country as the United Kingdom, 18% of adults – a fifth of the voting population – have never used the internet. At the risk of generalising a complex issue, many of those people will be those that Smart City services should create benefits for if they are to contribute to making cities fairer. After legal challenges from private sector providers, the UK Government’s plan to assist cities in funding the deployment of ubiquitous broadband connectivity has been replaced by a voucher scheme that subsidises businesses connecting to existing networks. The scheme will not now directly help to improve broadband coverage in those areas that are poorly served because they are economically relatively inactive – precisely the areas that need the most help. There’s been a lot of discussion of “net neutrality” recently – the principle that on the Internet, all traffic is equal, and that there is no way to pay for certain data to be treated preferentially. The principle is intended to ensure that the benefits of the internet are equally available to everyone. But net neutrality is irrelevant to those who can’t access the internet at all; and the free market is already bypassing it in some ways. Network providers who control the local infrastructures that connect homes and businesses to the internet are free to charge higher prices for faster connections. Wealthy corporations and governments can bypass parts of the internet entirely with their own international cable networks through which they can route traffic between users on one continent and content on another. Governments in emerging economies are building new cities to house their rapidly urbanising populations with ubiquitous, high-speed connectivity from the start. The Australian government is investing the profits from selling raw materials to support that construction boom in providing broadband coverage across the entire country. The least wealthy areas of European cities will be further disadvantaged compared to them unless we can find ways to invest in their digital infrastructure without contravening the European Union’s “State aid” law. 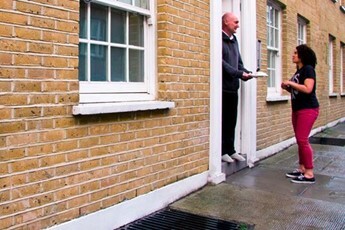 The UK’s Government Digital Service employ an excellent set of agile, user-centric design principles that are intended to promote the development of Smarter, digitally-enabled services that can be accessed by anyone anywhere who needs them, regardless of their level of skill with digital technology or ability to access the Internet. The principles include: “Start with needs”; “Do the hard work to make it simple”; “Build for inclusion”; “Understand context”; and “Build digital services, not websites”. A good example of following these principles and designing excellent, accessible digital services using common sense is the London Borough of Newham. By concentrating on the delivery of services through mobile telephones – which are much more widely owned than PCs and laptops – and on contexts in which a friend or family member assists the ultimate service user, Newham have achieved a remarkable shift to online services in one of London’s least affluent boroughs, home to many communities and citizens without access to broadband connectivity or traditional computers. Similar, low-tech innovations in designing systems that people find useful can be found in some smart meter deployments. In principle, the analytic technology in smart meters can provide insights that helps households and businesses reduce energy usage – identifying appliances that are operating inefficiently, highlighting leaks, and comparing households’ energy usage to that of their neighbours. But most people don’t want to look at smart meter displays or consult a computer before they put the washing on or have a shower. In one innovative project in the village of Chale, these issues were overcome by connecting analytic technology to a glow globe in the lounge – the globe simply glows red, orange or green depending on whether too much energy is being used compared to that expected for the time of day and year. 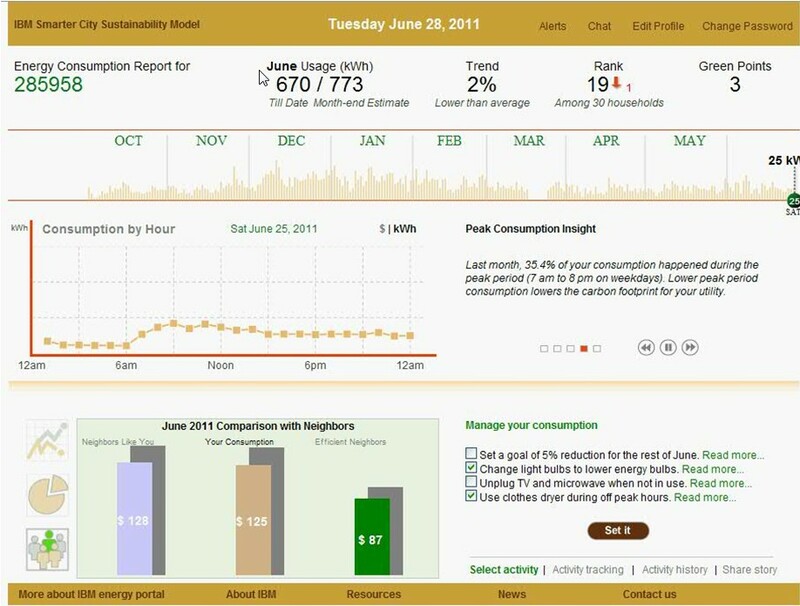 A similarly effective but even more down-to-earth approach was adopted by OPower in the US who reported that they have helped households save 1.9 terawatt hours of power simply by including a report based on data from smart meters in a printed letter sent with customers’ electricity bills. There are countless other examples. During peak traffic periods, Dublin’s “Live Drive” radio station plays a mixture of 80s pop music and traffic information derived from sophisticated analytics developed by IBM’s Smarter Cities Research team based on data from road sensors and GPS beacons in the city’s buses. And in India’s rural Karnataka region, which lacks internet infrastructure and where many workers lack literacy skills, let alone access to computers and smartphones, the benefits of online job portals have been recreated using “spoken web” technology using the existing traditional analogue telephone network. 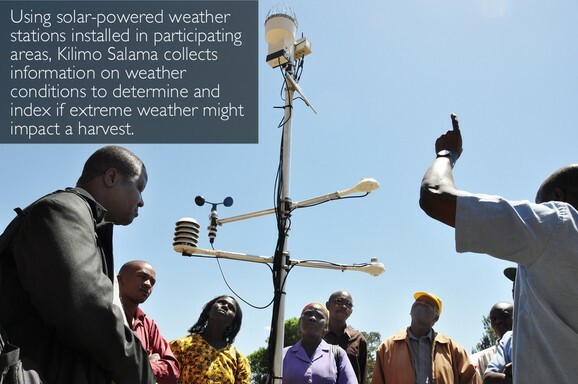 In Kenya, Kilimo Salama has made crop insurance affordable for subsistence farmers by using remote weather monitoring to trigger payouts via Safaricom’s M-Pesa mobile payments service, rather than undertaking expensive site visits to assess claims. And the SMS for Life project in Tanzania uses the cheap and widely used SMS infrastructure to create a dynamic, collaborative supply chain for medicine between rural pharmacists. These are all examples of what was originally described as “Intermediate Technology” by the economist Ernst Friedrich “Fritz” Schumacher in his influential work, “Small is Beautiful: Economics as if People Mattered“, and is now known as Appropriate Technology. Schumacher pointed out that the most advanced technologies, to which we often look to create value and growth, are in fact only effective in the hands of those with the resources and skills required to use them- i.e. those who are already wealthy; and that by emphasising efficiency, output and profit they tend to further concentrate economic value in the hands of the wealthy – often specifically by reducing the employment of people with less advanced skills and roles. 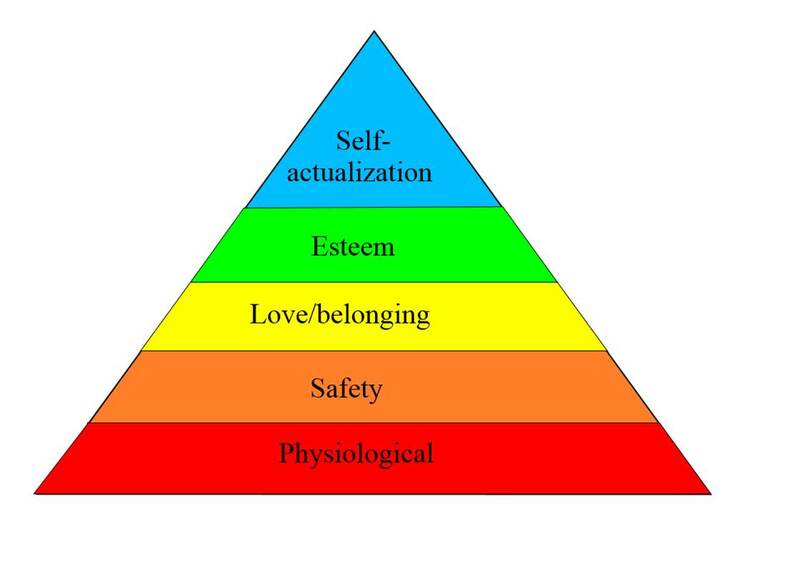 In contrast, Schumacher felt that the most genuine “development ” of our society would occur when the most possible people were employed in a way that gave them the practical ability to earn a living ; and that also offered a level of human reward – much as Maslow’s “Hierarchy of Needs” first identifies our most basic requirements for food, water, shelter and security; but next relates the importance of family, friends and “self-actualisation” (which can crudely be described as the process of achieving things that we care about). I can’t think of a more powerful set of tools that reflect these characteristics than the digital technologies that have emerged over the past decade, such as social media, smartphones, Cloud computing and Open Data. They provide a digital infrastructure of appropriate technologies that are accessible to everyone, but that connect with the large scale city infrastructures that support millions of urban lives; and they give citizens, communities and businesses the ability to adapt city infrastructures to their own needs. I can think of at least 12 such technologies that are particularly important; and that fall into the categories of “Infrastructures that matter”; “Technologies for everyone”; and “The keys to the city”. I’ve covered the importance of broadband connectivity, and the challenges involved in providing it ubiquitously, already, so I won’t go into detail again here. But whether it’s fixed-line, mobile or wi-fi, its benefits are becoming so significant that it can’t be omitted. Before Cloud computing, anyone who wanted to develop a computing system for others to use had to invest up-front in an infrastructure capable of operating the service to a reasonable level of reliability. 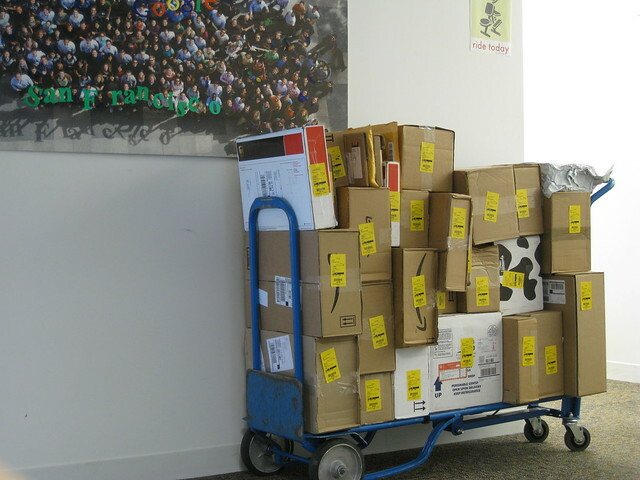 Cloud computing provides a much easier, cheaper alternative: rent a little bit of someone else’s infrastructure. And if your service becomes popular, don’t worry about carrying out complex and costly upgrades, just rent a little more. Cloud computing has helped to democratise digital services by making it it dramatically easier and cheaper for anyone to create and offer them. In 2013, the number of cellphone subscriptions worldwide surpassed the number of people who have ever owned fixed line telephones. In the developed world, we’re conscious of the increasing power of Smartphones; and Councils such as Newham are exploiting the fact that many people who lack the desire or resources to purchase a computer and a broadband connection possess and use relatively sophisticated Smartphones through which they access digital services and content. But in some countries in the developing world, the real story is simply the availability of the first basic infrastructure – voice calls and SMS – that’s available to almost everyone, everywhere. According to one report, access to a basic mobile phone is more common than access to a toilet with proper drainage. In his TEDGlobal 2013 talk, Toby Shapshak described how entire business infrastructures and supply chains are being built upon SMS and similiarly “appropriate” technologies – to the extent that 4o% of Kenya’s GDP now passes through the M-Pesa mobile payments service offered by Safaricom. Banks, technology entrepreneurs, governments and others in the developed world are looking to this wave of innovation as a source of new ideas. In his 2011 book “Civilization“, Niall Fergusson comments that news of the Indian Mutiny in 1857 took 46 days to reach London, travelling in effect at 3.8 miles an hour. By Jan 2009 when US Airways flight 1549 crash landed in the Hudson river, Jim Hanrahan’s message on Twitter communicated the news to the entire world four minutes later; it reached Perth, Australia at more than 170,000 miles an hour. Social media is the tool that around a quarter of the world’s population now simply uses to stay in touch with friends and family at this incredible speed. At a recent Mayoral debate on Smarter Cities, Ridwan Kamil, Mayor of Bandung, Indonesia, described how he has nurtured an atmosphere of civic engagement, trust and transparency by encouraging his staff to connect with the city’s 2.3 million Twitter-using citizens through social media. By encouraging citizens to report issues online and by publishing details of city spending, Mayor Kami has helped to combat corruption and improve public services. Montpellier in France is engaging with citizens through social media in a similar way, asking them to explore data about their city and suggest ways to improve it. And the ambitious control room set up in Rio de Janeiro by Mayor Eduardo Paes to help manage the city during the current World Cup uses social media not just as one of the information feeds that provides insight into what is happening in the city, but to keep citizens as well informed as possible. The “Community Lovers Guide“, of which 60 editions have now been published across the world, contains stories of people and projects that have improved their communities. The guide is not concerned directly with technology; but many of the initiatives that it describes have used social media as a tool for engaging with stakeholders and supporters. And we increasingly use social media to conduct business. From e-Bay to Uber, social media is being used to create “sharing economy” business models that replace traditional sales channels and supply chains with networks of peer-to-peer transactions in industries from financial services to agriculture to distribution to retail. Nearly 2 billion of us now regularly use the technologies that allow us to participate in those trading networks. Three years ago, I watched my then 2-year-old son teach himself how to use a touchscreen tablet to watch cartoons from around the world. He is a member of the first generation to grow up with the world’s information literally at their fingertips before they can read and write. The simplicity of the touchscreen has already led to the adoption of tablet computers by huge numbers of people who would never have so willingly chosen to use a laptop computer and keyboard. As touchscreens and the devices that use them become cheaper and cheaper, many more people who currently don’t choose to access online content and services will do so without realising it, simply by interacting with the world around them. We will rapidly develop even more intimate interfaces to technology. Three years ago, scientists at the University of Berkely used computers attached to an MRI scanner to recreate moving images from the magnetic field created by the brain of a person inside the scanner watching a film on a pair of goggles. And last year, scientists at the University of Washington used similar technology to allow one of them to move the other’s arm simply by thinking about it. Whilst it will take time for these technologies to become widely available – and there are certainly ethical issues concerning their use that must be addressed in the process – eventually they will make an important contribution to making information and the ability to communicate widely even more accessible than today. Open Source software is one of the very few technologies that is free in principle to anyone with the time to understand how to use it. It is not free in the medium or long-term – most organisations that use it pay for some form of support or maintenance to be carried out on their Open Source systems. 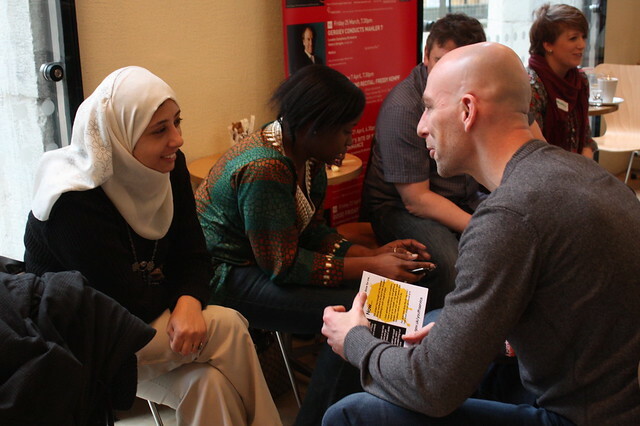 But it is free to get started, and the Open Source community is a great place to get help and advice whilst doing so. My colleagues around the world work very hard to ensure that IBM’s technologies support open source technology, from interoperating with the MySQL database and CKAN open data portal; to donating IBM-developed technologies such as Eclipse, MQTT and Node-RED to the Open Source community; to IBM’s new “BlueMix” Cloud computing platform for developers which is built from Open Source technology and offers developers 50 pre-built services for inclusion in their Apps, many of which are open source. Not all technology is Open Source, and there are good reasons why many technology companies large and small invest in developing products and services for cities that use proprietary software – often, simply to protect their investment. For as long as those products and services offer valuable capabilities that are not available as open source software, cities will use them. But it is vital that city systems incorporating those technologies are nevertheless open for use by open source software, simply to make them as widely accessible as possible for people who need to adapt them to their own needs. The emergence of the internet as a platform for enabling sales, marketing and logistics over the last decade has enabled small and micro-businesses to reach markets across the world that were previously accessible only to much larger organisations with international sales and distribution networks. More recently, the emergence and maturation of technologies such as 3D printing, open-source manufacturing and small-scale energy generation are enabling small businesses and community initiatives to succeed in new sectors by reducing the scale at which it is economically viable to carry out what were previously industrial activities – a trend recently labelled by the Economist magazine as the “Third Industrial Revolution“. Arduino, an Open Source electronics prototyping platform, and the Raspberry Pi, a cheap and simple computer intended to simplify the process of teaching programming skills, provide very easy introductions to these technologies; and organisations such as Hub Launchpad and TechShop make it possible for entrepreneurs and small businesses to explore them in more depth. An “API” is an “Application Programming Interface“: it is a tool that allows one computer system – such as an Open Source “app” written by an entrepreneur or social innovator – to use the information and capabilities of another computer system – such as a traffic information system for a city’s transport network. For example, Amazon make an API available to developers that exposes all of the capabilities of Amazon Marketplace – from listing products, to changing prices to despatching goods to customers. Whilst these features are not free to use, they offer one way for businesses to create new online shops extremely quickly, linked to a fulfilment operation to support them. Open APIs are a tool that can make digital city infrastructures open to local innovation, and allow citizens, businesses and communities to adapt them to their own needs. 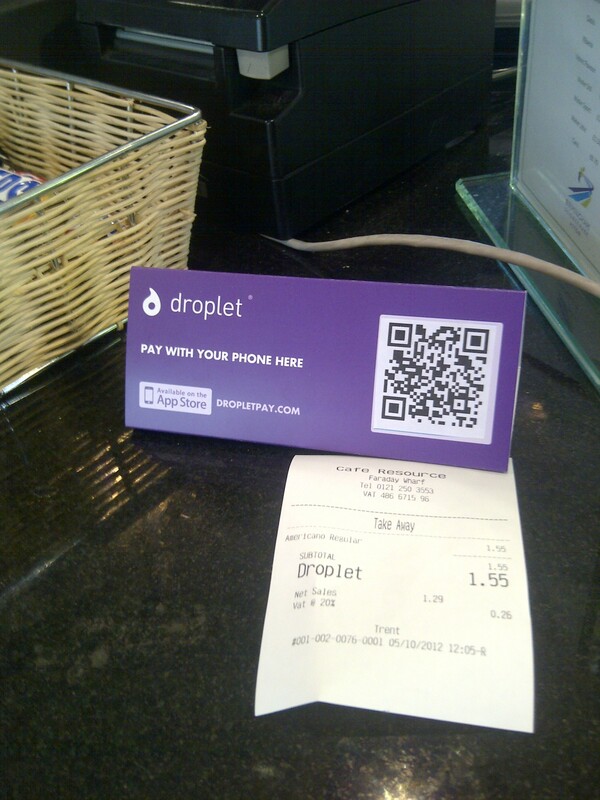 For instance, Birmingham’s Droplet, a SmartPhone payment service that encourages local economic growth by making it easy to pay for goods and services from local merchants, offer a developer API to allow their fast, cheap payments system to be included in other city services. A Smarter City infrastructure whose IT systems offer APIs to citizens, communities and businesses can be accessed and adapted by them. It is the very opposite of Atlanta’s Buford Highway. The Open Data movement champions the principle that any non-sensitive data from public services and infrastructures should be freely and openly available. Most such data is not currently available in this form – either because the organisations operating those services have yet to adopt the principle, or because the computer systems they use simply were not designed to make data available. There are many reasons to support the idea of Open Data. McKinsey estimate its economic value to be at least $3 trillion per year, for example. But perhaps more importantly, Open Data is a fundamental tool for democracy and transparency in a digital age. Niall Firth’s November 2013 editorial for the New Scientist magazine describes how citizens of developing nations are using open data to hold their governments to account, from basic information about election candidates to the monitoring of government spending. The “Dublinked” information sharing partnership, in which Dublin City Council, three surrounding local authorities and service providers to the city share information and make it available to their communities as “open data”, is a good example of the benefits that openness can bring. Dublinked now makes 3,000 datasets available to local authority analysts; to researchers from IBM Research and the National University of Ireland; and to businesses, entrepreneurs and citizens. The partnership is identifying new ways for the city’s public services and transport, energy and water systems to work; and enabling the formation of new, information-based businesses with the potential to export the solutions they develop in Dublin to cities internationally. It is putting the power of technology and of city information not only at the disposal of the city authority and its agencies, but also into the hands of communities and innovators. Open Data and Open APIs will only be widely used and effective in cities across the world if they conform to Open Standards that mean that everyone, everywhere can use them in the same way. In order to do something as simple as changing a lightbulb, we rely on open standards for the levels of voltage and power from our electricity supply; the physical dimensions of the socket and bulb and the characteristics of their fastenings; specifications of the bulb’s light and heat output; and the tolerance of the bulb and the fitting for the levels of moisture found in bathrooms and kitchens. Cities are much more complicated than lightbulbs; and many more standards will be required on order for us to connect to and re-configure their systems easily and reliably. Local trading systems use paper or electronic currencies that are issued and accepted within a particular place or region. They influence people and businesses to spend the money that they earn locally, thereby promoting regional economic synergies. Examples include the Bristol Pound; the Droplet smartphone payment scheme in Birmingham; and schemes based on the bartering of goods, money, time and services, such as time banking. 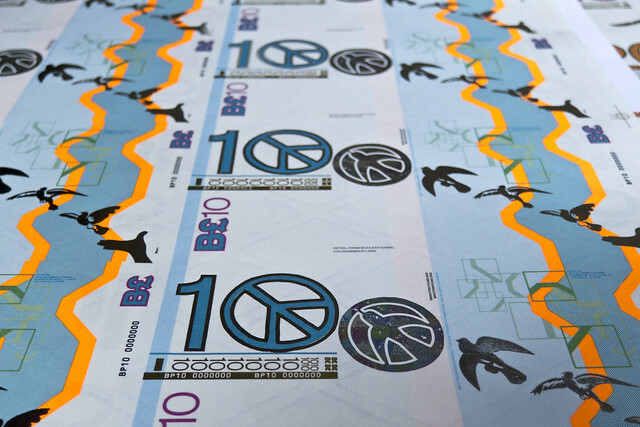 Some schemes combine both elements – in Switzerland, a complementary currency, the Wir , has contributed to economic stability over the last century by allowing some debt repayments to be bartered locally when they cannot be repaid in universal currency. As these schemes develop – and in particular as they adopt technologies such as smartphones and Open APIs – they are increasingly being used as an infrastructure for Smarter City projects in domains such as transport, food supply and energy. Smarter Cities will succeed at scale when we discover the business models that convert financial payments and investments into social, economic and environmental improvements in the places where we live and work. I can’t think of a more directly applicable tool for designing those business models than flexible, locally focussed currencies and payment infrastructures. In order to use digital services, we have to provide personal information online. What happens to that personal information once we have finished using the service? Social networks such as Facebook regularly cause controversy when they experiment with new ways to use the data that we freely share with them; often granting them extensive rights over that data in the process. Our use of technologies such as social media, Smartphones and APIs creates a mass of data about us that is often retained by the operators of the services we use. Sometimes this is as a result of deliberate actions: when we share geo-tagged photos through social media, for example. In other cases, it is incidental. The location and movement of GPS sensors in our smartphones is anonymised by our network providers and aggregated with that of others nearby who are moving similarly. It is then sold to traffic information services, so that they can sell it back to us through the satellite navigation systems in our cars to help us to avoid traffic congestion. Organisations of all types and sizes are competing for the new markets and opportunities of the information economy that are created, in part, by this increased availability of personal information. That is simply the natural consequence of the emergence of a new resource in a competitive economy. But it is also true that as the originators of much of that information, and as the ultimate stakeholders in that economy, we should seek to establish an equitable consensus between us for how our information is used. A different approach is being taken by organisations such as MyDex. MyDex are a Community Interest Company (CIC) who have created a platform that allows users to securely share personal information with digital service providers when they need to; but to revoke access when they have finished using the service. (From the MyDex website, http://mydex.org/about/ensuring-trust/). As a result of both the security of their technology solution and the clarity with which personal and community interests are reflected in their business model, MyDex’s platform is now being used by a variety of public sector and community organisations to offer a personal data store to the people they support. MyDex’s approach to creating trust in the use of personal data is not the only one, but it is a good example of a business model that explicitly addresses and prioritises the interests of the individual. Architects and city planners such as Kelvin Campbell, founder of the Smart Urbanism movement and Jan Gehl, who inspired the “human-scale cities” movement have been identifying the fine-grained physical characteristics of large-scale urban environments that encourage vibrant communities and successful economies through the daily activities of people, families, communities and businesses. 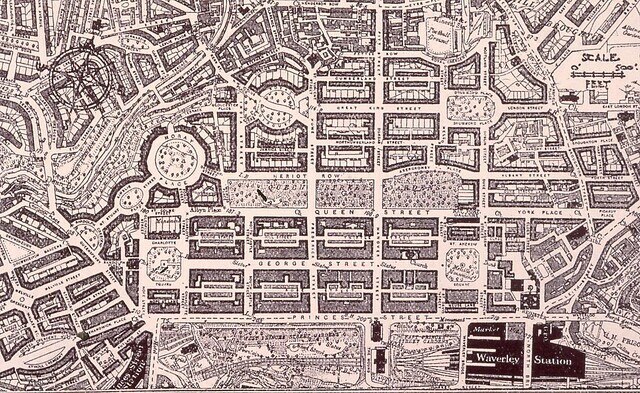 A good example is provided by Edinburgh’s “New Town”, regarded as a masterpiece of urban planning that has proved adaptable and successful through the economic and social changes of the past 250 years. It has frequent road crossings, junctions and side-streets that slow down traffic; provides stopping opportunities for traffic and crossing opportunities for people, encouraging businesses to thrive; and has a mixture of small and large premises for a variety of businesses to occupy. Smarter cities will not be fairer cities unless we identify and employ technologies for building them that create similar openness and accessibility for digital services and information. That’s precisely what I think Open Data, mobile phones, virtual currencies and the other technologies I’ve described in this article can achieve. I can’t think of a more exciting idea than using them to address the economic, social and environmental challenge of our time and to build better cities and communities for tomorrow. One of the defining tensions throughout the development of cities has been between our desire for quality of life and our need to move ourselves and the things we depend on around. The former requires space, peace, and safety in which to work, exercise, relax and socialise; the latter requires transport systems which, since the use of horsedrawn transport in medieval cities, have taken up space, created noise and pollution – and are often dangerous. Enrique Penalosa, whose mayorship of Bogota was defined by restricting the use of car transport, often refers to the tens of thousands of children killed by cars on the world’s roads every year and his astonishment that we accept this as the cost of convenient transport. This tension will intensify rapidly in coming years. Not only are our cities growing larger and denser, but according to the analysis of city systems by Professors Geoffrey West and Louis Bettencourt of the Los Alamos National Laboratory and Professor Ian Robertson’s study of human behaviour, our interactions within them are speeding up and intensifying. Arguably, over the last 50 years we have designed cities around large-scale buildings and transport structures that have supported – and encouraged – growth in transport and the size of urban economies and populations at the expense of some aspects of quality of life. Whilst standards of living across the world have improved dramatically in recent decades, inequality has increased to an even greater extent; and many urbanists would agree that the character of some urban environments contributes significantly to that inequality. In response, the recent work of architects such as Jan Gehl and Kelvin Campbell, building on ideas first described by Jane Jacobs in the 1960s, has led to the development of the “human scale cities” movement with the mantra “first life, then space, then buildings”. The challenge at the heart of this debate, though, is that the more successful we are in enabling human-scale value creation; the more demand we create for transport and movement. And unless we dramatically improve the impact of the systems that support that demand, the cities of the future could be worse, not better, places for us to live and work in. As digital technology pervades every aspect of our lives, whether in large-scale infrastructures such as road-use charging systems or through the widespread adoption of small-scale consumer technology such as smartphones and social media, we cannot afford to carry out the design of future cities without considering it; nor can we risk deploying it without concern for its affect on the quality of urban life. Digital technologies do not just make it easier for us to communicate and share information wherever we are: those interactions create new opportunities to meet in person and to exchange goods and services; and so they create new requirements for transport. And as technologies such as 3D printing, open-source manufacturing and small-scale energy generation make it possible to carry out traditionally industrial activities at much smaller scales, some existing bulk movement patterns will be replaced by thousands of smaller, peer-to-peer interactions created by transactions in online marketplaces. We can already see the effects of this trend in the vast growth of traffic delivering goods that are purchased or exchanged online. Estimates of the size of this “sharing economy“, defined by Wikipedia as “economic and social systems that enable shared access to goods, services, data and talent“, vary widely, but are certainly significant. The UK Economist magazine reports one estimate that it is a $26 billion economy already, whilst 2 Degrees Network report that just one aspect of it – small-scale energy generation – could save UK businesses £33 billion annually by 2030. Air B’n’B – a peer-to-peer accommodation service – reported recently that they had contributed $632 million in value to New York’s economy in 2012 by enabling nearly 5,000 residents to earn an average of $7,500 by renting their spare rooms to travellers; and as a consequence of those travellers additionally spending an average of $880 in the city during their stay. The emergence in general of the internet as a platform for enabling sales, marketing and logistics for small and micro-businesses is partly responsible for a significant rise in self-employment and “micro-entrepreneurial” enterprises over the last few years, which now account for 14% of the US economy. Digital technology will create not just great growth in our desire to travel and move things, but great complexity in the way we will do so. Today’s transport technologies are not only too inefficient to scale to our future needs; they’re not sophisticated and flexible enough to cope with the complexity and variety of demand. 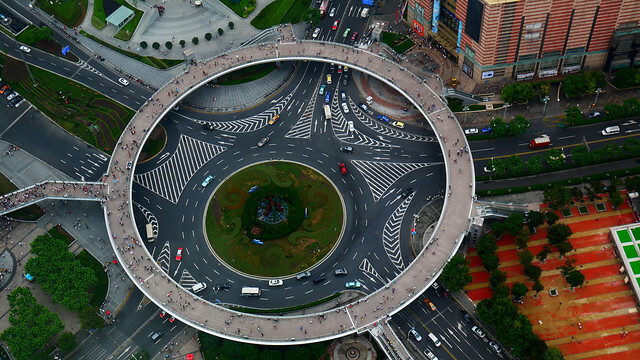 Many of the future components of transport systems have already been envisaged, and deployed in early schemes: elevated cycleways; conveyor belts for freight; self-driving vehicles and convoys; and underground pneumatic networks for recycling. 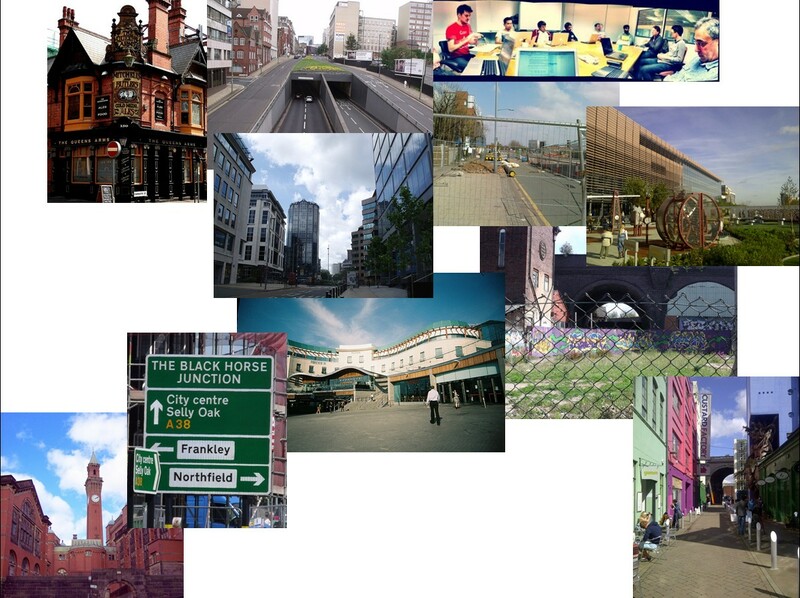 And to some extent, we have visualised the cities that they will create: Professor Miles Tight, for example, has considered the future living scenarios that might emerge from various evolutions of transport policy and human behavioural choices in the Visions 2030 project. The task for the Smarter Cities movement should be to extend this thinking to envision the future of cities that are also shaped by emerging trends in digital technology and their effect on the wider economy and social systems. We won’t do that successfully by considering these subjects separately or in the abstract; we need to envision how they will collectively enable us to live and work from the smallest domestic scale to the largest city system. Rather than purchasing and owning goods such as kitchen utensils, hobby and craft items, toys and simple house and garden equipment, we will create them on-demand using small-scale and open-source manufacturing technology and smart-materials. It will even be possible – though not all of us will choose to do so – to manufacture some food in this way. Conversely, there will still be demand for handmade artisan products including clothing, gifts, jewellery, home decorations, furniture, and food. Many of us will earn a living producing these goods in the home while selling and marketing them locally or through online channels. So we will leave our home of the future less often to visit shops; but will need not just better transport services to deliver the goods we purchase online to our doorsteps, but also a new utility to deliver the raw materials from which we will manufacture them ourselves; and new transport services to collect the products of our home industries and to deliver supplies to them. We will produce an increasing amount of energy at home; whether from existing technologies such as solar panels or combined heat and power (CHP) systems; or through new techniques such as bio-energy. The relationships between households, businesses, utilities and transportation will change as we become producers of energy and consumers of waste material. And whilst remote working means we will continue to be less likely to travel to and from the same office each day, the increasing pace of economic activity means that we will be more likely to need to travel to many new destinations as it becomes necessary to meet face to face with the great variety of customers, suppliers, co-workers and business partners with whom online technologies connect us. As we increasingly work remotely from within our homes or by travelling far away from them, less of us work in jobs and for businesses that are physically located within the communities in which we live; and some of the economic ties that have bound those communities in the past have weakened. But most of us still feel strong ties to the places we live in; whether they are historical, created by the character of our homes or their surrounding environment, or by the culture and people around us. These ties create a shared incentive to invest in our community. Perhaps the greatest potential of social media that we’re only begin to exploit is its power to create more vibrant, sustainable and resilient local communities through the “sharing economy”. The motivations and ethics of organisations participating in the sharing economy vary widely – some are aggressively commercial, whilst others are “social enterprises” with a commitment to reinvest profits in social growth. The social enterprise sector, comprised of mutuals, co-operatives, employee-owned businesses and enterprises who submit to “triple bottom line” accounting of financial, social and environmental capital, is about 15% of the value of most economies, and has been growing and creating jobs faster than traditional business since the 2008 crash. There is enormous potential for cities to achieve their “Smarter” objectives for sustainable, equitably distributed economic growth through contributions from social enterprises using technology to implement sharing economy business models within their region. Sharing economy models which enable transactions between participants within a walkable or cyclable area can be a particularly efficient mechanism for collaboration, as the related transport can be carried out using human power. Joan Clos, Exective Director of UN-Habitat, has asserted that cities will only become sustainable when they are built at a sufficient population density that a majority of interactions within them can be carried out in this way (as reported informally by Tim Stonor from Dr. Clos’s remarks at the “Urban Planning for City Leaders” conference at the Crystal, London in 2012). The Community Lovers’ Guide has published stories from across Europe of people who have collaborated to make the places that they share better, often using technology; and schemes such as Casserole Club and Land Share are linking the supply and demand of land, food, gardening and cooking skills within local communities, helping neighbours to help each other. At local, national and international levels, sharing economy ideas are creating previously unrealised social and economic value, including access to employment opportunities that replace some of those traditional professions that are shrinking as the technology used by industrial business changes. So whilst we work remotely from direct colleagues, we may chose to work in a collaborative workspace with near neighbours, with whom we can exchange ideas, make new contacts and start new enterprises and ventures. As the “maker” economy emerges from the development of sophisticated, small-scale manufacturing, and the resurgence in interest in artisan products, community projects such as the Old Print Works in Balsall Heath, Birmingham are emerging in low-cost ex-industrial space as people come together to share the tools and expertise required to make things and run businesses. We will also manage and share our use of resources such as energy and water at neighbourhood scale. The scale and economics of movement of the raw materials for bio-energy generation, for example, currently dictate that neighbourhood-scale generation facilities – as opposed to city-wide, regional or domestic scale – are the most efficient. 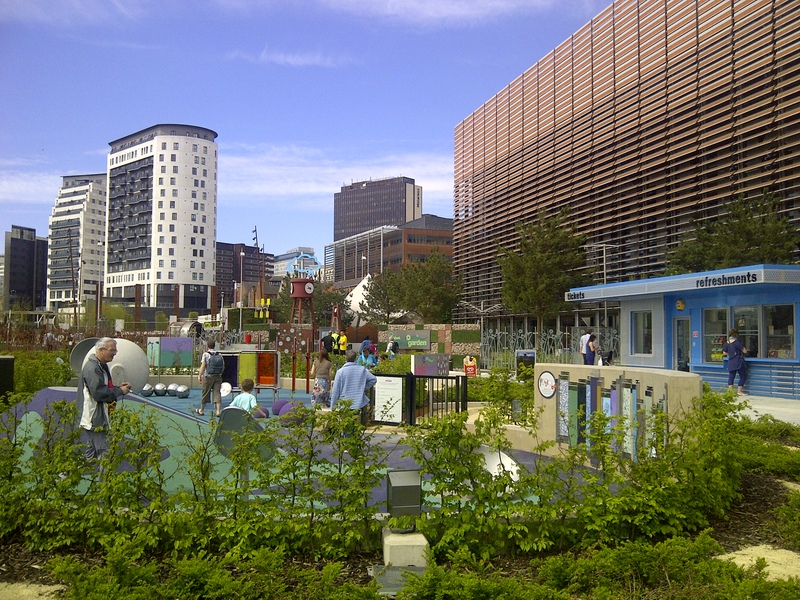 Aston University’s European Bio-Energy Research Institute is demonstrating these principles in the Aston district of Birmingham. And schemes from the sustainability pilot in Dubuque, Iowa to the Energy Sharing Co-operative in the West Midlands of the UK and the Chale community project on the Isle of Wight have shown that community-scale schemes can create shared incentives to use resources more efficiently. One traditional centre of urban communities, the retail high street or main street, has fared badly in recent times. The shift to e-commerce, supermarkets and out-of-town shopping parks has led to many of them loosing footfall and trade, and seeing “payday lenders“, betting shops and charity shops take the place of traditional retailers. High streets needs to be freed from the planning, policy and tax restrictions that are preventing their recovery. The retail-dominated highstreet of the 20th century emerged from a particular and temporary period in the evolution of the private car as the predominant form of transport supporting household-scale economic transactions. Developments in digital and transport technology as well as economy and society have made it non-viable in its current form; but legislation that prevents change in the use of highstreet property, and that keeps business taxes artificially high, is preventing highstreets from adapting in order to benefit from technology and the opportunities of the sharing economy. Business Improvement Districts, already emerging in the UK and US to replace some local authority services, offer one way forward. They need to be given more freedom to allow the districts they manage to develop as best meets the economic and social needs of their area according to the future, not the past. And they need to become bolder: to invest in the same advanced technology to maximize footfall and spend from their customers as shopping malls do on behalf of their tenants, as recommended by a recent report to UK Government on the future of the high street. The future high street will not be a street of clothes shops, bookshops and banks: some of those will still exist, but the high street will also be a place for collaborative workers; for makers; for sharing and exchanging; for local food produce and artisan goods; for socialising; and for starting new businesses. We will use social media to share our time and our resources in the sharing economy; and will meet on the high street when those transactions require the exchange of physical goods and services. We will walk and cycle to local shops and transport centres to collect and deliver packages for ourselves, or for our neighbours. Whilst there’s no universally agreed definition, an urban areas is generally agreed to be a continuously built-up area with a total population of between 2,000 and 40 million people; living at a density of around 1,000 per square kilometre; and employed primarily in non-agricultural activities (the appendices to the 2007 revision of the UN World Urbanisation Prospects summarise such criteria from around the world; 38.7 million is estimated to be the population of the world’s largest city, Tokyo, in 2025 by the UN World Urbanisation Prospects 2011). That is living at an industrial scale. The sharing economy may be a tremendously powerful force, but – at least for the foreseeable future – it will not scale to completely replace the supply chains that support the needs of such enormous and dense populations. Take food, for example. One hectare of highly fertile, intensively farmed land can feed 10 people. 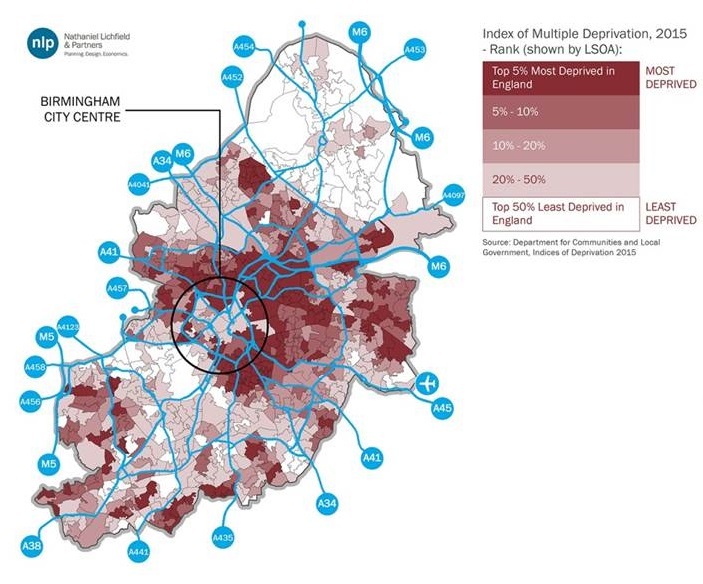 Birmingham, my home city, has an area of 60,000 hectares of relatively infertile land, most of which is not available for farming at all; and a population of around 1 million. Those numbers don’t add up to food self-sufficiency; and Birmingham is a very low-density city – between one-half and one-tenth as dense as the growing megacities of Asia and South America. Until techniques such as vertical farming and laboratory-grown food become both technically and economically viable, and culturally acceptable – if they ever do – cities will not feed themselves. And these techniques hardly represent locally-grown food exchanged between peers – they are highly technical and likely to operate initially at industrial scale. Sharing economy businesses such as Casserole Club, Kitchen Surfing, and Big Barn will change the way we distribute, process and prepare food within cities, but many of the raw materials will continue to be grown and delivered to cities through the existing industrial-scale distribution networks that import them from agricultural regions. We are drawn to cities for the opportunities they offer: for work, for entertainment, and to socialise. As rapidly as technology has improved our ability to carry out all of those activities online, the world’s population is still increasingly moving to cities. In many ways, technology augments the way we carry out those activities in the real world and in cities, rather than replacing them with online equivalents. Technology has already made cultural events in the real world more frequent, accessible and varied. Before digital technology, the live music industry depended on mass-marketing and mass-appeal to create huge stadium-selling tours for a relatively small number of professional musicians; and local circuits were dominated by the less successful but similar-sounding acts for which sufficiently large audiences could be reached using the media of the time. I attempted as an amateur musician in the pre-internet 1990s to find a paying audience for the niche music I enjoyed making: I was not successful. Today, social media can be used to identify and aggregate demand to make possible a variety of events and artforms that would never previously have reached an audience. Culture in the real-world is everywhere, all the time, as a result, and life is the richer for it. We discover much of it online, but often experience it in the real world. 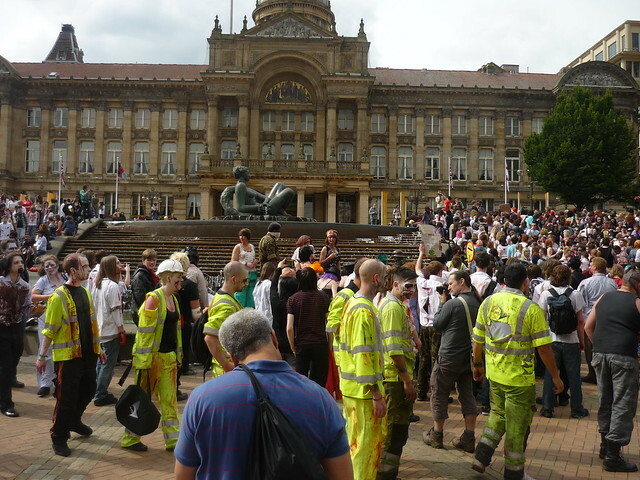 (Birmingham’s annual “Zombie Walk” which uses social media to engage volunteers raising money for charity. Photo by Clare Lovell). 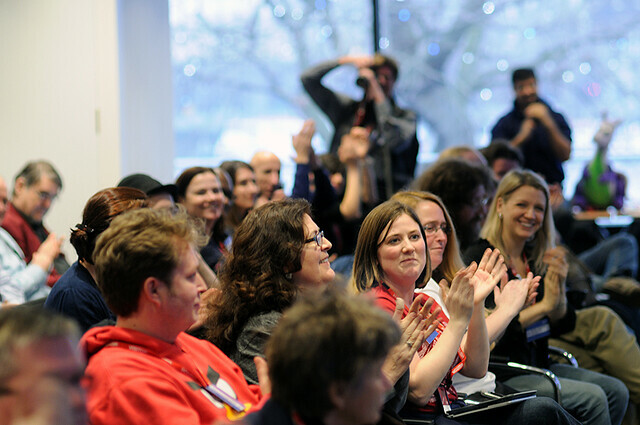 “Flashmobs” use smartphones and social media to spontaneously bring large numbers of people together in urban spaces to celebrate; socialise or protest; and while we will play and tell stories in immersive 3D worlds in the future – whether we call them movies, interactive fiction or “massive multi-player online role-playing games” – we’ll increasingly do so in the physical world too, in “mixed reality” games. Technologies such as Google Glass, cognitive computing and Brain/Computer Interfaces will accelerate these trends as they remove the barrier between the physical world and information systems. We will continue to come to city centres to experience those things that they uniquely combine: the joy and excitement of being amongst large numbers of people; the opportunity to share ideas; access to leading-edge technologies that are only economically feasible at city-scale; great architecture, culture and events; the opportunity to shop, eat, drink and be entertained with friends. All of these things are possible anywhere; but it is only in cities that they exist together, all the time. The challenge for city-scale living will be to support the growing need to transport goods and people into, out of and around urban areas in a way that is efficient and productive, and that minimises impact on the liveability of the urban environment. In part this will involve reducing the impact of existing modes of transport by switching to electric or hydrogen power for vehicles; by predicting and optimising the behaviour of traffic systems to prevent congestion; by optimising public transport as IBM have helped Abidjan, Dublin, Dubuque and Istanbul to do; and by improving the spatial organisation of transport through initiatives such as Arup’s Regent Street delivery hub. We will also need new, evolved or rejuvenated forms of transport. In his lecture for the Centenary of the International Federation for Housing and Planning, Sir Peter Hall spoke eloquently of the benefits of Bus Rapid Transit systems, urban railways and trams. All can combine the speed and efficiency of rail for bringing goods and people into cities quickly from outlying regions, with the ability to stop frequently at the many places in cities which are the starting and finishing points of end-to-end journeys. Vehicle journeys on major roads will be undertaken in the near future by automated convoys travelling safely at a combined speed and density beyond the capability of human drivers. Eventually the majority of journeys on all roads will be carried out by such autonomous vehicles. Whilst it is important that these technologies are developed and introduced in a way that emphasises safety, the majority of us already trust our lives to automated control systems in our cars – every time we use an anti-lock braking system, for example. We will still drive cars for fun, pleasure and sport in the future – but we will probably pay dearly for the privilege; and our personal transport may more closely resemble the rapid transit pods that can already be seen at Heathrow Terminal 5. Proposals intended to accelerate the adoption of autonomous vehicles include the “Qwik lane” elevated highway for convoy traffic; or the “bi-modal glideway” and “tracked electric vehicle” systems which could allow cars and lorries to travel at great speed safely along railway networks or dedicated “tracked” roads. Alternative possibilities which could achieve similar levels of efficiency and throughput are to extend the use of conveyor belt technology – already recognised as far more efficient than lorries for transporting resources and goods over distances of tens of miles in quarries and factories – to bring freight in and out of cities; or to use pneumatically powered underground tunnel networks, which are already being used in early schemes for transporting recyclable waste in densely populated areas. Elon Musk, the inventor of the Tesla electric supercar, has even suggested that a similar underground “vacuum loop” could be used to replace long-distance train and air travel for humans, at speeds over 1000 kilometres per hour. 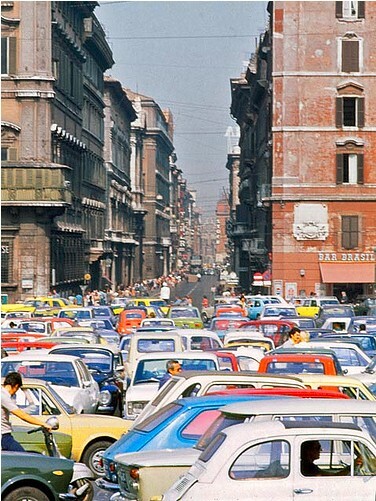 The majority of these transport systems won’t offer us as individuals the same autonomy and directness in our travel as we believe the private car offers us today – even though that autonomy is often severely restricted by traffic congestion and delays. Why will we chose to relinquish that control? Some of us will simply prefer to, finding different value in other ways to get around. 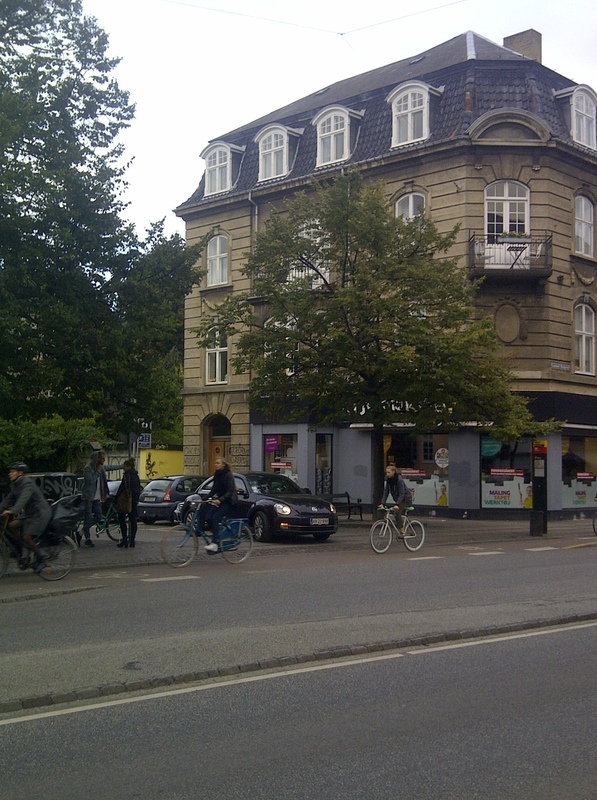 Walking and cycling are gaining in popularity over driving in many cities. I’ve personally found it a revelation in recent years to walk around cities rather than drive around them as I might previously have done. Cities are interesting and exciting places, and walking is often an enjoyable as well as efficient way of moving about them. 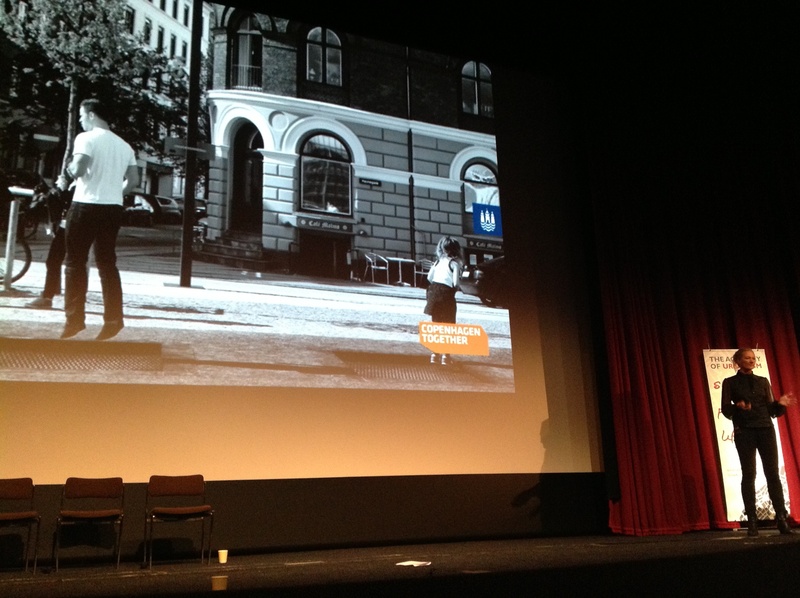 (And for urbanists, of course, walking offers unparalleled opportunities to understand cities). Many of us are also increasingly conscious of the health benefits of walking and cycling, particularly as recent studies in the UK and US have shown that adults today will be the first generation in recorded history to die younger than their parents because of our poor diets and sedentary lifestyles. Alternatively, we may choose to travel by public transport in the interests of productivity – reading or working while we travel, especially as network coverage for telephony and the internet improves. As the world’s population and economies grow, competition and the need to improve productivity will lead more and more of us to this take this choice. It is increasingly easy to walk, cycle, or use public or shared transport to travel into and around cities thanks to the availability of bicycle hire schemes, car clubs and walking route information services such as walkit.com. 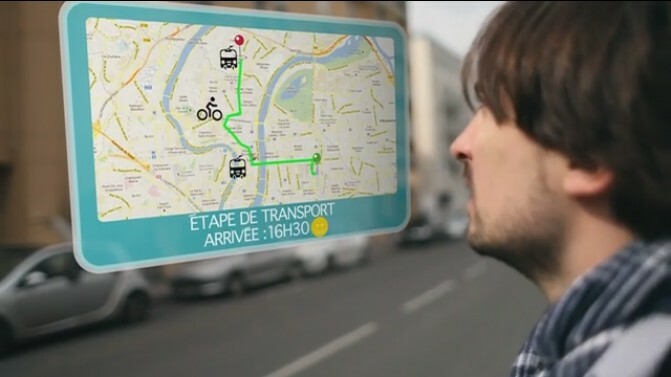 The emergence of services that provide instant access to travel information across all forms of transport – such as the Moovel service in Germany or the Optimod service in Lyon, France – will enhance this usability, making it easier to combine different forms of transport into a single journey, and to react to delays and changes in plans whilst en route. 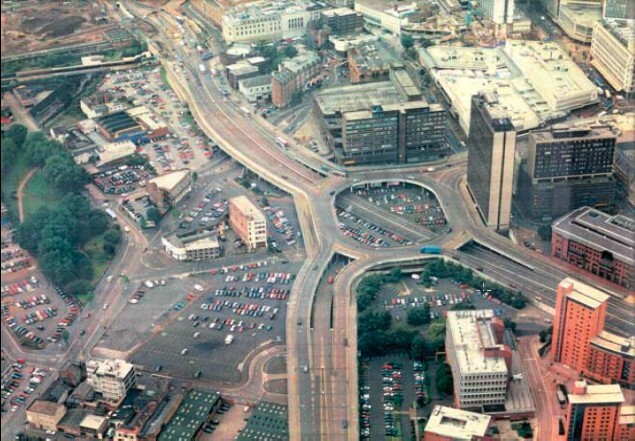 Legislation will also drive changes in behaviour, from national and international initiatives such as the European Union legislation limiting carbon emissions of cars to local planning and transport policies – such as Birmingham’s recent Mobility Action Plan which announced a consultation to consider closing the city’s famous system of road tunnels. 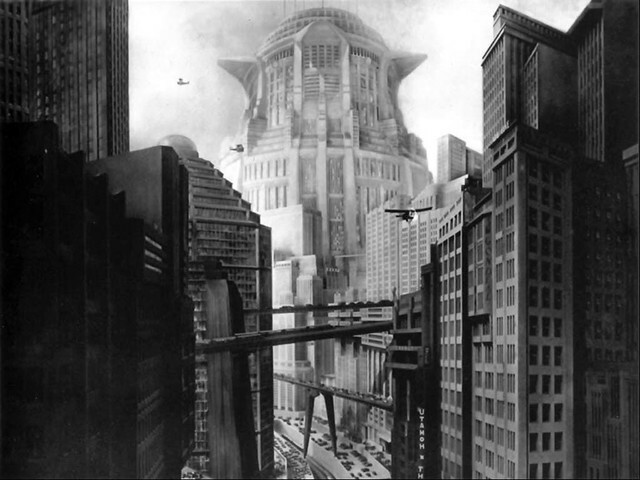 Are we ready for the triumph of the digital city? Regardless of the amazing advances we’re making in online technology, life is physical. Across the world we are drawn to cities for opportunity; for life-support; to meet, work and live. The ways in which we interact and transport ourselves and the goods we exchange have changed out of all recognition throughout history, and will continue to do so. The ever increasing level of urbanisation of the world’s population demonstrates that there’s no sign yet that those changes will make cities redundant: far from it, they are thriving. 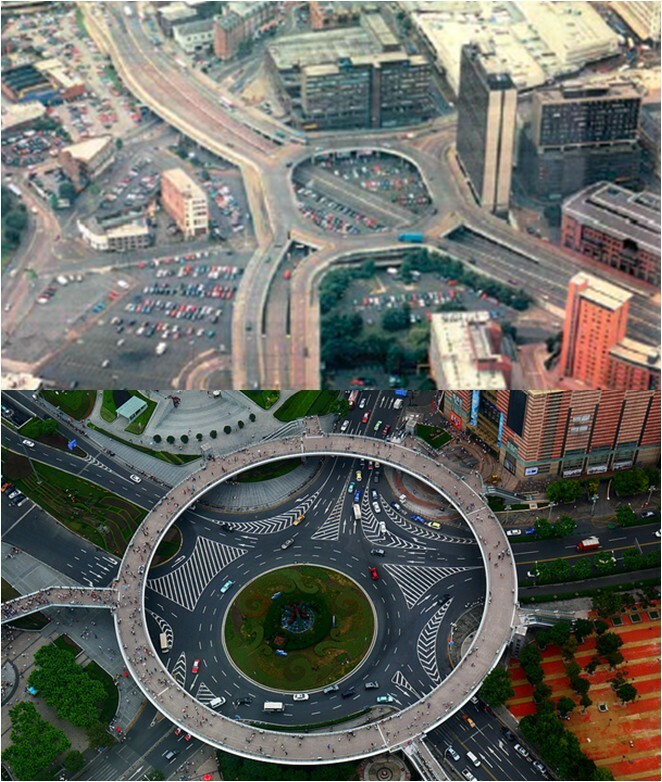 It is not possible to understand the impact on our lives of new ideas in transport, technology or cities in isolation. Unless we consider them together and in the context of changing lifestyles, working patterns and economics, we won’t design and build cities of the future to be resilient, sustainable, and equitable. The limitation of our success in doing that in the past is illustrated by the difference in life expectancy of 20 years between the richest and poorest areas of UK cities; the limitation of our success in doing so today is illustrated by the fact that a huge proportion of the world’s population does not have access to the digital technologies that are changing our world. 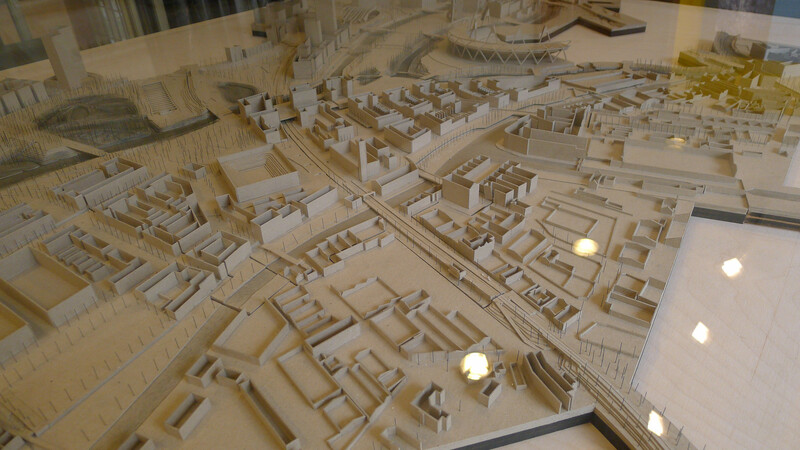 I recently read the masterplan for a European city district regarded as a good example of Smart City thinking. It contained many examples of the clever and careful design of physical space for living and for today’s forms of transport, but did not refer at all to the changes in patterns of work, life and movement being driven by digital technology. It was certainly a dramatic improvement over some plans of the past; but it was not everything that a plan for the future needs to be. Across domains such as digital technology, urban design, public policy, low carbon engineering, economic development and transport we have great ideas for addressing the challenges that urbanisation, population growth, resource constraints and climate change will bring; but a lot of work to do in bringing them together to create good designs for the liveable cities of the future.